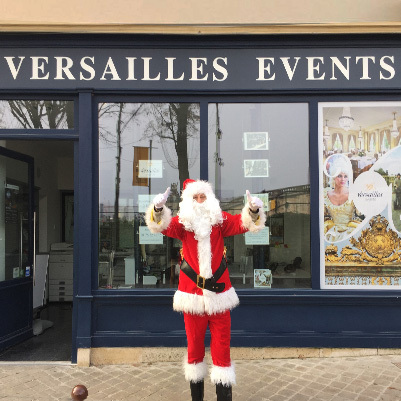 Versailles Events offers you a high-performance communication format, combining mobile signage, distribution and the commercial contact or of a facilitator for immediate results. 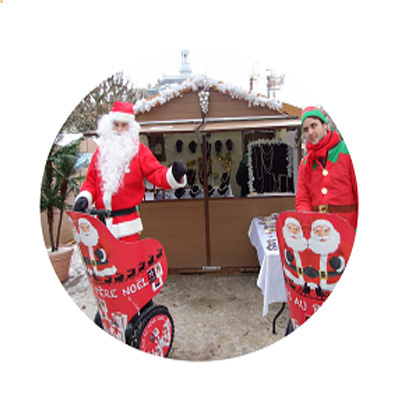 Bring your brand, your street or your city to life with Segway animations. Contact us to entrust us with your project. 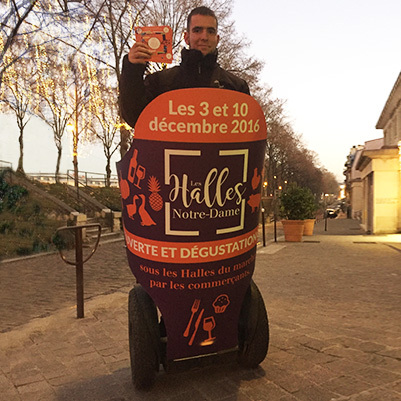 It is an ideal proximity media to create traffic to your point of sale, on the occasion of its opening, in the context of promotional operations or simply to stand out from the competition and create the event for your brand. 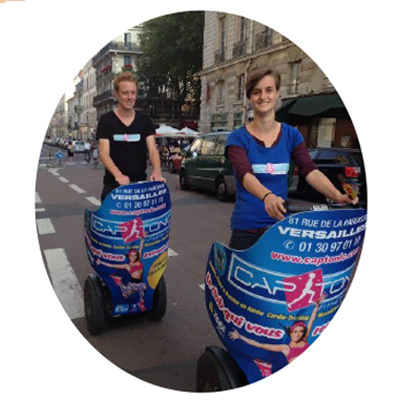 On the occasion of a neighborhood party, the opening of a shopping center, of a cultural event or the animation of the Downtown, we can install a stand and offer introductions to the Segway in a fun way for the general public, walks, challenges with an obstacle course… In short, animate the streets for operations led by local authorities, associations, the Works Council… An original and ecological device to create the event !